Women In Combat: Some Lessons From Israel's Military : Parallels The U.S. will soon begin to open combat positions to women. That's already the case in Israel, where women say it is an important step but doesn't guarantee full equality. The military's upper echelons remain male-dominated. Soldiers of Israel's 33rd Caracal Battalion take part in a graduation march in the northern part of the southern Israeli Negev desert on March 13. The Caracal was formed in 2004 with the chief purpose of giving women a chance to serve in a true combat role. As the U.S. moves to open up combat positions to women, it's catching up with other countries that have been doing it for years. But the experience in these countries, including Israel, suggests that access to combat jobs doesn't lead directly to equal treatment within the ranks. In Israel, most men and women perform compulsory military service. The Israel Defense Forces plays a number of roles that go far beyond just defending the country. It is also a melting pot that allows immigrants and minority groups to join in the same rite of passage. That's what struck Leora Prince when the New Jersey native visited Israel after high school. She saw lots of young people joined in a common purpose. Sgt. Leora Prince (left) said switching to the Caracal battalion and taking on a more hands-on combat position was the best decision she'd ever made. She is shown here with her commanding officer, Capt. Yaron Eyal, near Eilat, along Israel's border with Egypt's Sinai Peninsula. "That were completely, selflessly guarding over the country," Prince recalls. "And I wanted to be a part of that." That explains why this 21-year-old is now serving as a sergeant in the Israel Defense Forces. She immigrated, learned Hebrew and put on a uniform. But had she come along before the formation of the Caracal Battalion, Prince would not have ended up where she was earlier this year: riding in an SUV along Israel's desert border with Egypt, cradling a Tavor assault rifle in her arms. Prince started out learning how to be an instructor. But she says she wanted to do something that was truly hands-on. "When I was in basic training for the month, I realized that this isn't enough for me. I wanted to do more, do that guarding, not just teach people how to guard," Prince says. "So I switched to Caracal, and it was the best decision I've ever made." The Caracal was formed in 2004 with the chief purpose of giving women a chance to serve in a true combat role. It's a coed combat battalion, named for a desert cat whose gender can be difficult to discern. 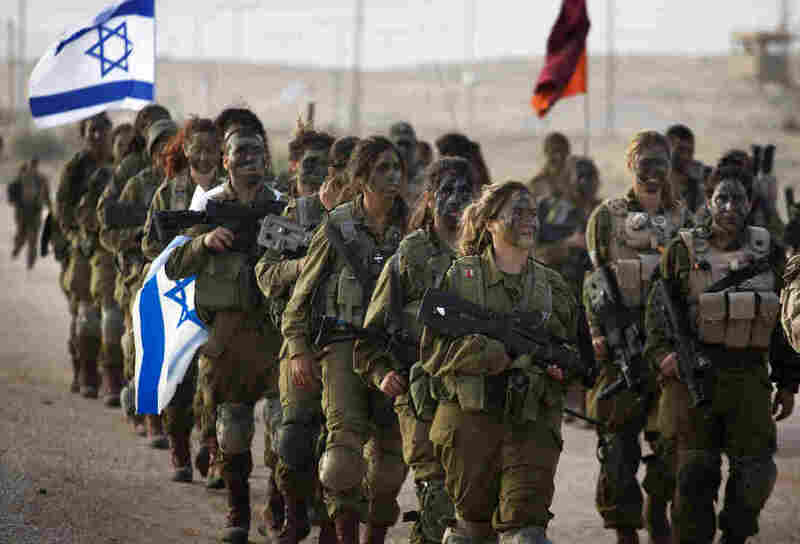 The battalion is 60 percent female and patrols Israel's border with Egypt's Sinai peninsula, a desolate stretch of high desert that has become a hot spot in recent years: In 2011, eight Israelis died in an attack launched from Sinai. The area is dangerous enough that Israel has decided to build an expensive border fence through the harsh terrain. A big part of the Caracal's job is guarding the construction crews building that fence. Soldiers like Prince put up with clouds of dust, wicked heat and long shifts. Prince says women don't have to carry quite as much gear as men. But otherwise they're treated the same — in theory, anyway. Prince says in Israel's battle-hardened, male-dominated military, she still gets plenty of razzing. You don't sign up for work like this if you're put off by teasing. Within the Caracal, Prince says, she is taken seriously, and she looks completely at ease as she chats with her male counterparts. One question that crops up in the discussion about women is whether men will trust female soldiers with their lives. Prince's commander, Capt. Yaron Eyal, says he has gotten over any doubts he had. "I really, really trust them ... to watch my back," he says, relying on Prince to help him find the right English expression. 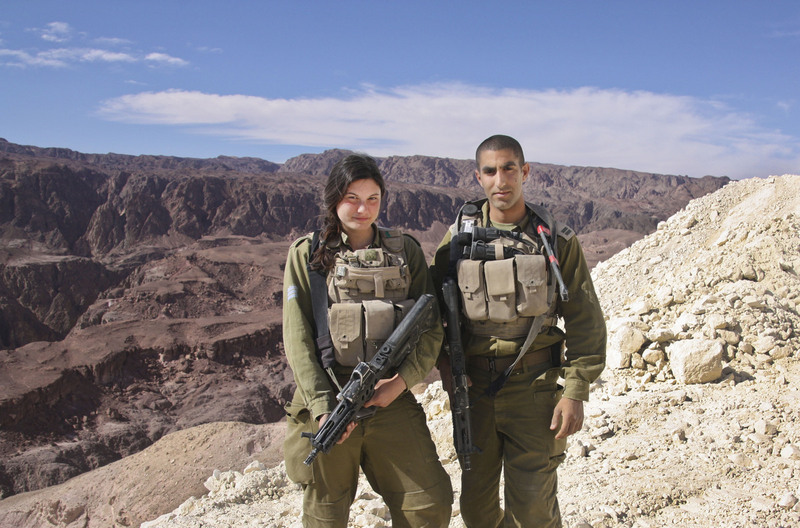 Israel holds out the Caracal as proof that women can be all that they can be in the military. The Israel Defense Forces say that today, nearly 50 percent of Israel's lieutenants and captains are women. But the upper echelons are still a male domain. The highest-ranking female officer is a major general, who is in charge of personnel. Miri Eisen, a retired colonel who spent 20 years in the Israeli military, says there are clear limits for women. "We won't have a female chief of staff. The glass ceiling is there for a variety of reasons," Eisen says. "The military is a boys club. I think every military is a boys club. It's still a majority of men who are going to choose that way of life."